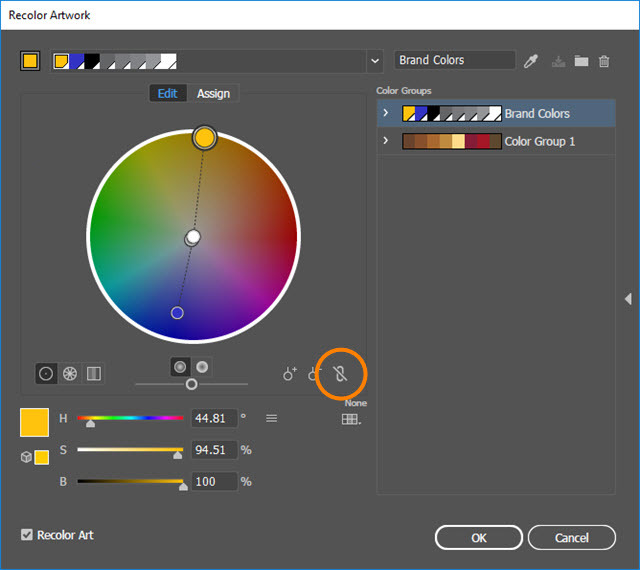 Color groups are useful for organizing custom color swatches into manageable collections that can be exported as user libraries. 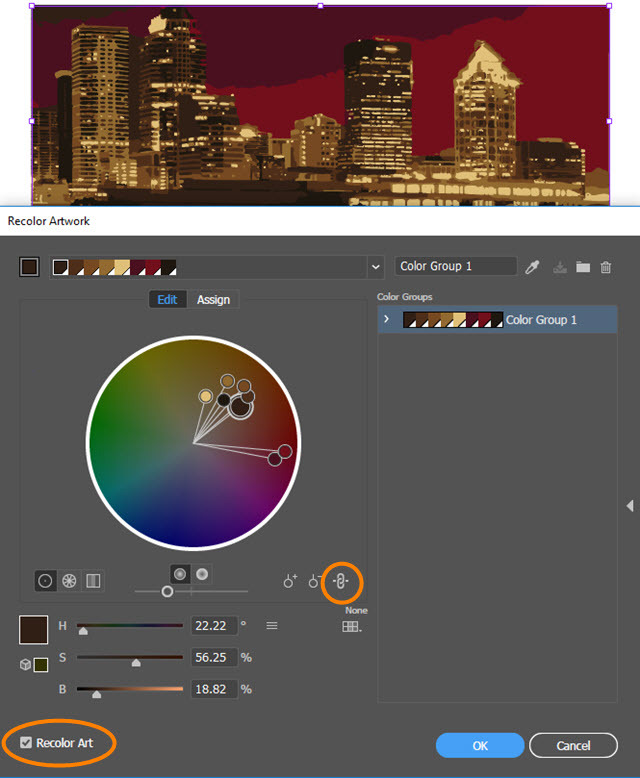 You can also use color groups to make global color corrections to artwork. We'll start with a photo to which Image Trace has been applied to render an illustrative effect with a limited number of colors. This palette of colors will become the color group. 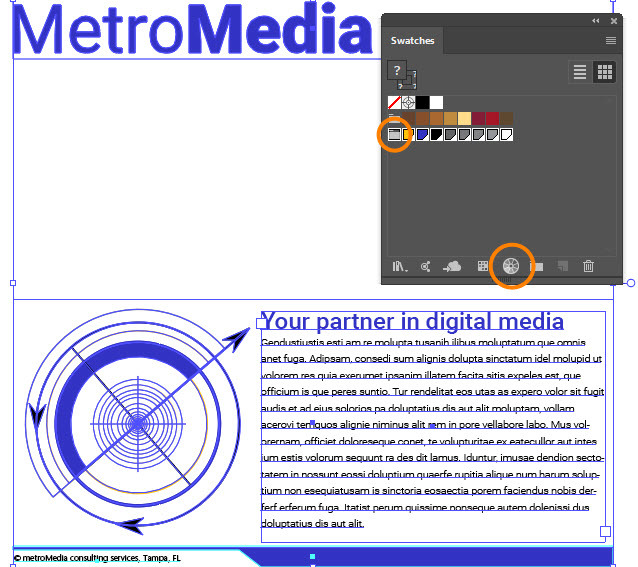 Because it's a traced image, the first step will be be to expand the image into its component paths by clicking the Expand button in the Control Panel. 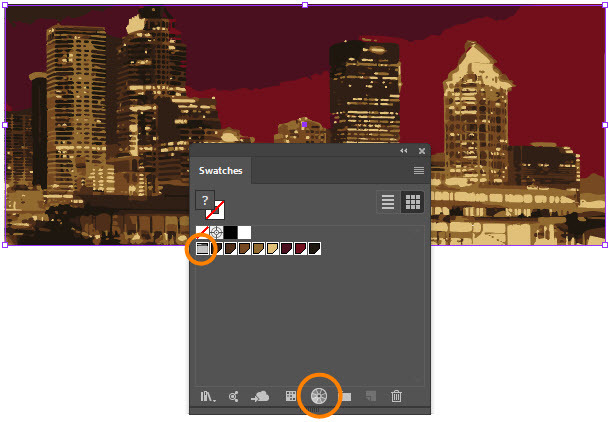 Keeping the traced image selected, go to the Swatches Panel and click New Color Group. 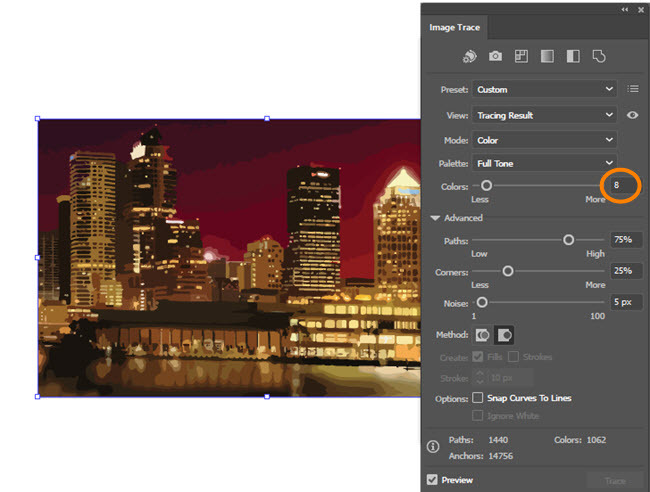 In the resulting dialog box, make sure Selected Artwork and Convert Process to Global are on. 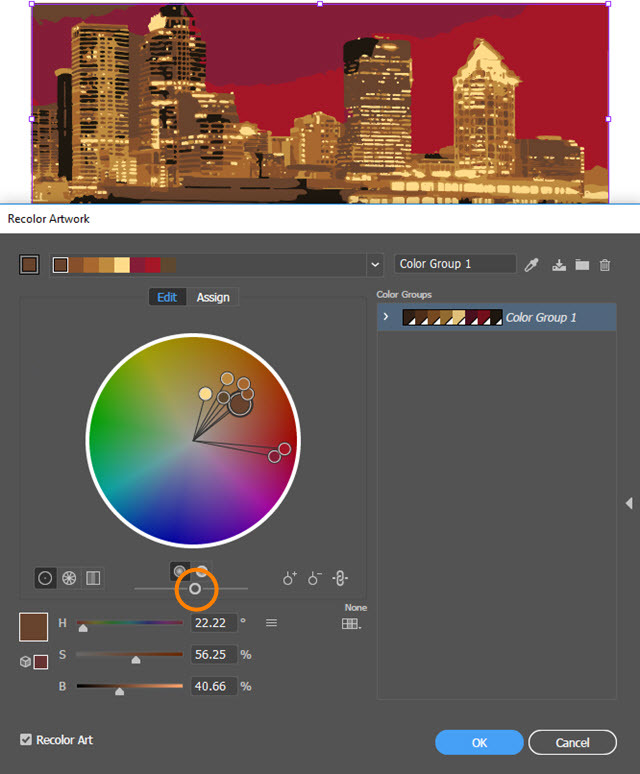 By using the Global Color option, we'll later be able to adjust color in the art. 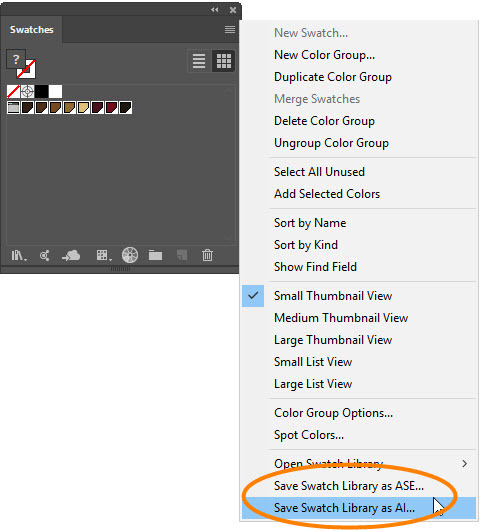 To export the swatches, click on the color group's folder icon in the Swatches Panel, then click the Swatches menu and choose either Save Swatch Library as AI or Save Swatch Library as ASE. An AI Library can only be accessed in Illustrator files, whereas an ASE Library can be used with files created in other Adobe programs, such as InDesign. Save the library to a known location. 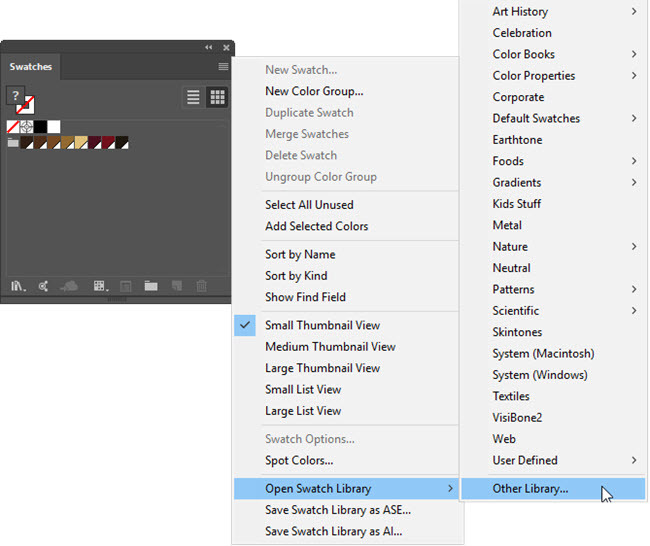 To use the library in another file, click the Swatches Panel menu and go to Open Swatch Library > Other Library and navigate to the library you saved. Next we'll edit the colors in the traced image. 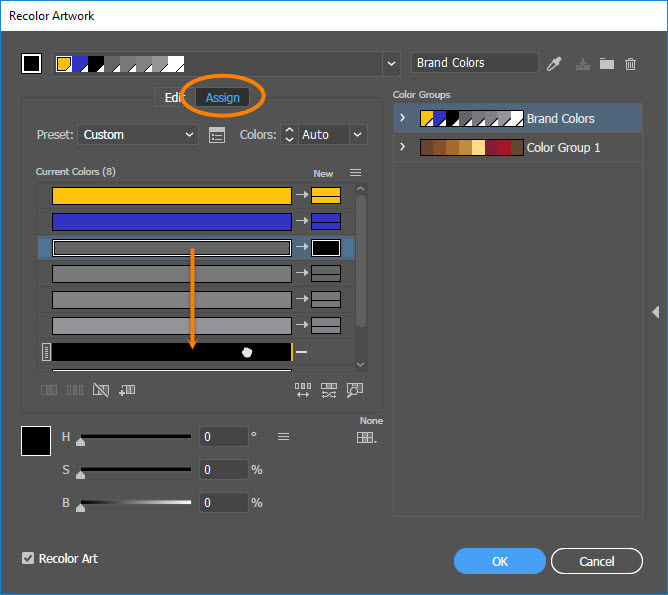 Keep the image selected and make sure the entire color group is selected in the Swatches Panel, then click the Edit or Apply Color Group button. The dialog box has two tabs: Assign and Edit. Click the Edit tab. If it's grayed out, the artwork isn't selected. Make sure Link Harmony Colors is on, as well as Recolor Art. In this particular image, I want brighter colors, so I'll simply drag the Brightness slider (below the color wheel) slightly to the right. 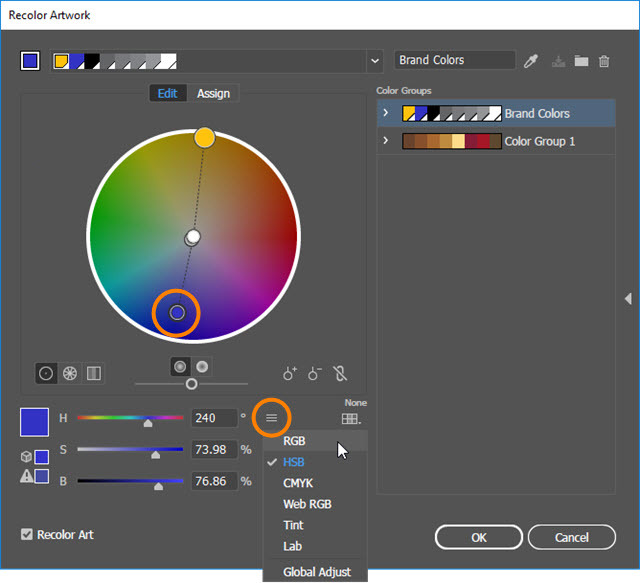 After clicking OK, you'll be prompted to save the changes to the color group. Because Black has been applied to some very fine lines in the art, several shades of gray have been generated as swatches. The color group would be easier to manage if they were combined into a single black swatch. 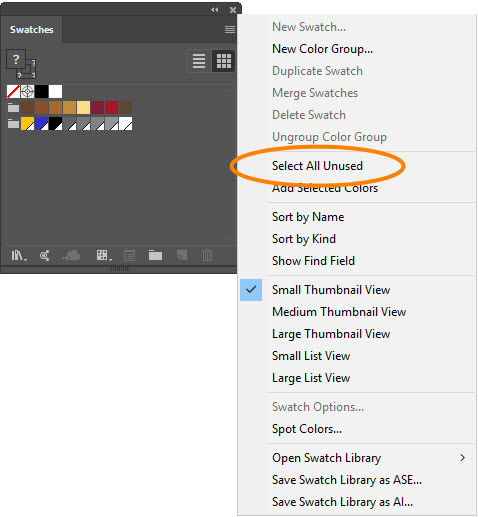 After clicking the folder icon in the Swatches Panel, click Edit or Apply Color Group. 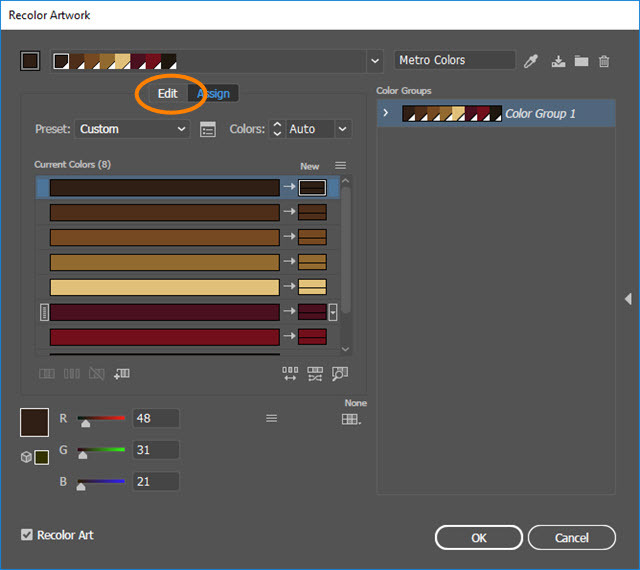 In the Assign tab, drag each of the grays onto the black bar under Current Colors to combine them, then click OK.
Click the Swatches Panel menu and choose Select All Unused, then delete the selected swatches. Next, the blue in this color group will be changed. 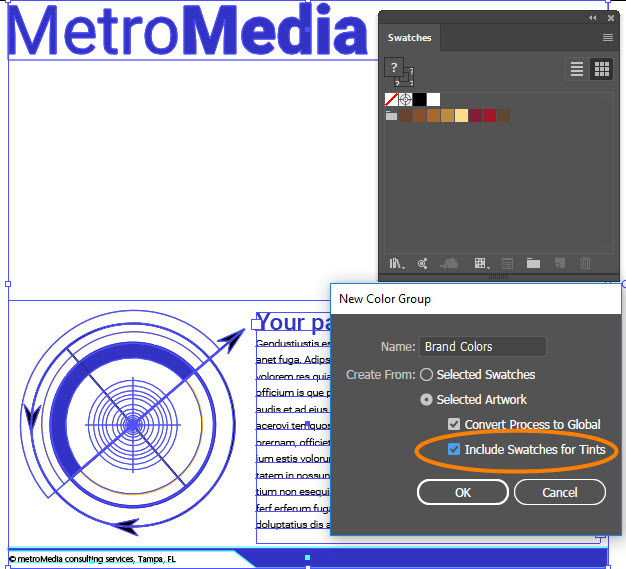 Click the color group's folder icon in the Swathes Panel, then click Edit or Apply Color Group. Click the Edit tab in the dialog box, then click the Unlink Harmony Colors button. Make sure Recolor Art is checked. 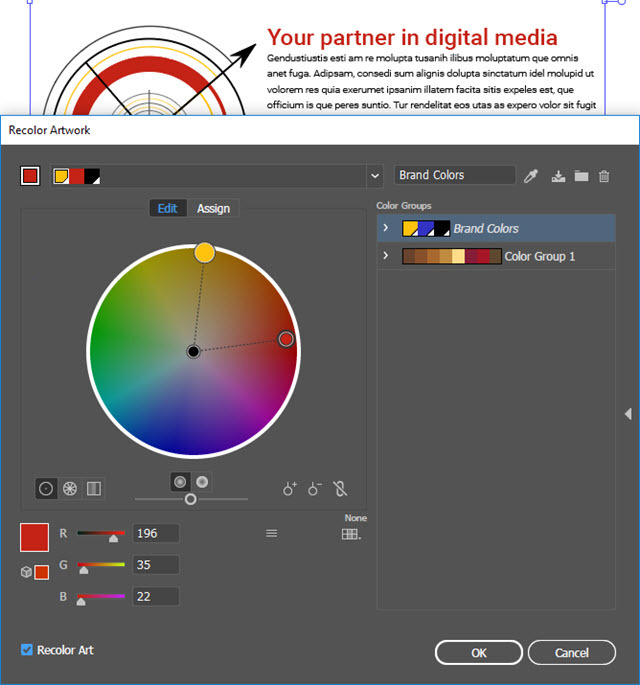 Click the blue spoke on the color wheel, then click the Adjustment Sliders menu and select RGB. Here, the blue has been changed to a shade of red.